LONDON (Sporting Alert) — Following the last set of group fixtures in the UEFA Champions League on Wednesday night, here is how the English Premier League teams could line-up in the last-16 draw. EPL leaders Chelsea, Manchester City and Arsenal have all booked places into the knockout phase, while Liverpool are heading for the Europa League after they finished third in their group. Jose Mourinho’s Blues of Chelsea topped their group with a comfortable 3-1 victory over Sporting Lisbon on Wednesday night and they could now face one of five solid teams that finished as runners-up in their group. Italian Serie A champions Juventus and French champions Paris St-Germain are among the teams Chelsea could face in the round of 16, while Swiss champions Basel, who qualified ahead of Liverpool in their section, is another team the London giants could face. Bayer Leverkusen and Shakhtar Donetsk are also on the list. Of the five, Juventus, who plays as organized as the Chelsea and Paris St-Germain, who has a balanced squad and a certain Mr. Zlatan Ibrahimovic, are the two teams Mourinho would prefer to avoid in the draw. “We don’t fear anybody, but we know there are very good, strong teams in this competition,” Mourinho said. “Last year we were close and we didn’t have the team playing at such a high level as we do this season, so we can dream we will do it. Manchester City, meanwhile, beat AS Roma 2-0 in their final game to finished second in Group E and joined Bayern Munich as the qualifiers from that section. The defending EPL champions will be entered in a pot of very strong group winners, including Champions Leagues title holders Real Madrid with the red-hot Cristiano Ronaldo as well as fellow Spanish giants Barcelona. Another La Liga side Atletico Madrid, Borussia Dortmund, Porto, and Monaco are also teams Manuel Pellegrini club could face. The Chilean, when asked about the possibility of a tough draw, quickly directed his attentions to playing in the domestic league and catching Chelsea at the top of the table standings. “We will start thinking about the Champions League again in February,” said Pellegrini. Like The Citizens, Arsenal, who finished second to Borussia Dortmund in their group, could face a team from the same lineup of strong opponents, with the exception of Dortmund. Bayern Munich will be slotted in that pot as one of the group winners as the Gunners cannot face a team from the same group. The Champions League last 16 draw will take place on Monday. What teams Chelsea could face: Juventus, Paris St-Germain, Basel, Bayer Leverkusen, Shakhtar Donetsk. What teams Manchester City could face: Barcelona, Real Madrid, Atletico Madrid, Borussia Dortmund, Monaco, Porto. 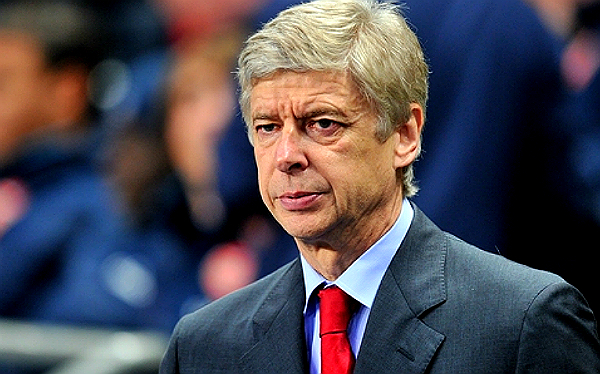 What teams Arsenal could face: Bayern Munich, Barcelona, Real Madrid, Atletico Madrid, Borussia Dortmund, Monaco, Porto.